Have you ever imagine how awkward it would be if an employee disappears suddenly from his/her office without intimating a single word. While quitting a company is not a crime and of course, it is obvious sooner or later, there is a way to do it. Serving notice period has been considered as the formal a way of intimating about resignation. These benefits including the provident fund, Health insurance policy, and other allowances. Of course, before all these, the employer has to consider the resignation letter. 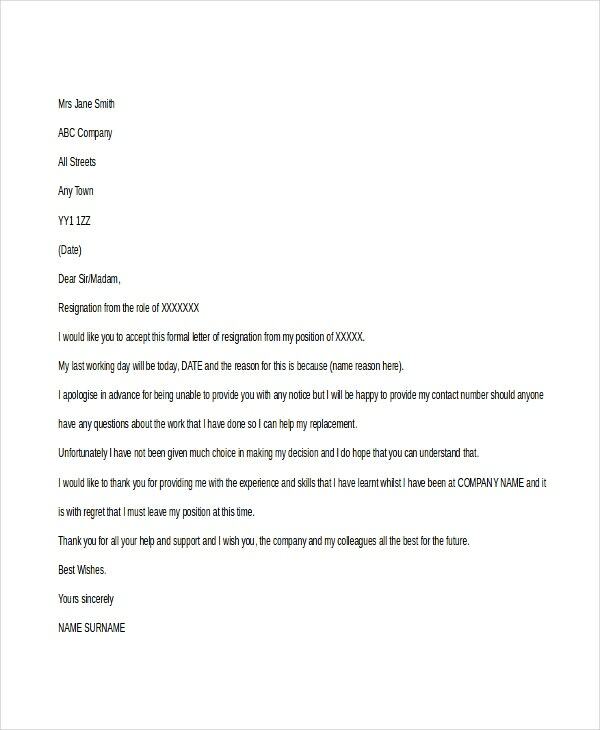 Our simple resignation letters help to deal the whole process very diplomatically. Edit your preferences as you like upon the easy and free downloading. Employee Resignation Letters are for employees. 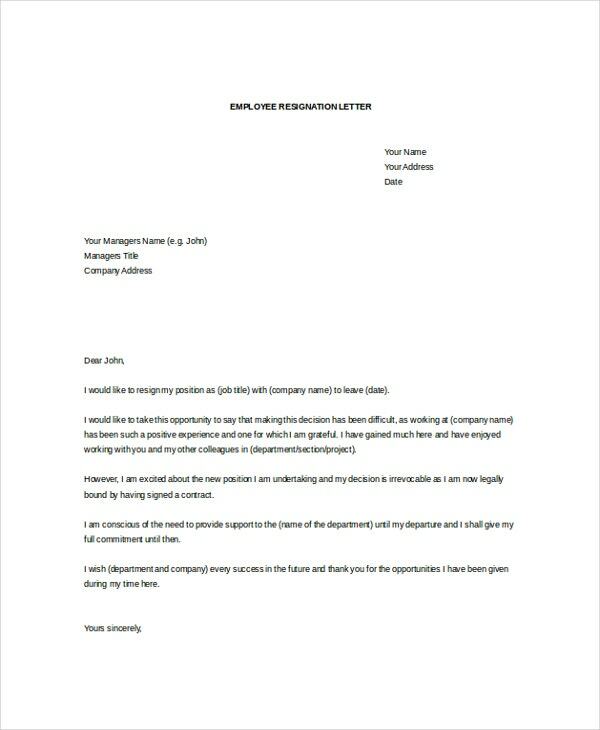 Our employee resignation letters convey the resignation news in a best possible manner to the higher officials. You can use them for all your official purposes. They are is highly prolific in terms of content yet pleased. You can go ahead with the changes related to notice period, reasons to leave, and several other things. Generally people serve the Immediate Resignation Letter when they literally are unable to attend the office from the very next day. This in most cases will be due to severe health issues. 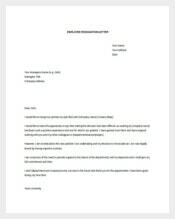 Our immediate resignation letter templates heal your pain in serving the immediate resignation. Think them as your best stenographer while you are on the bed. Download them period. 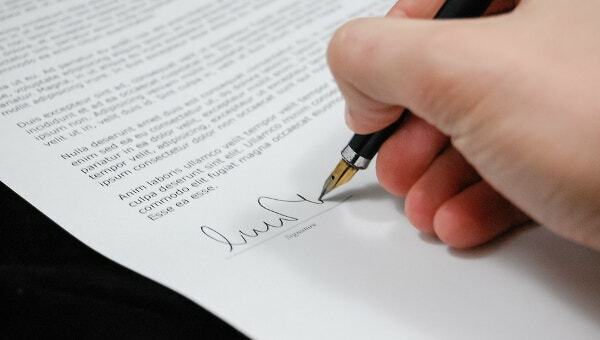 A resignation letter is generally considered as the last mark by an employee. Are you happy about being fired? Or you want to step forward and serve the resignation letter before the call comes from them? 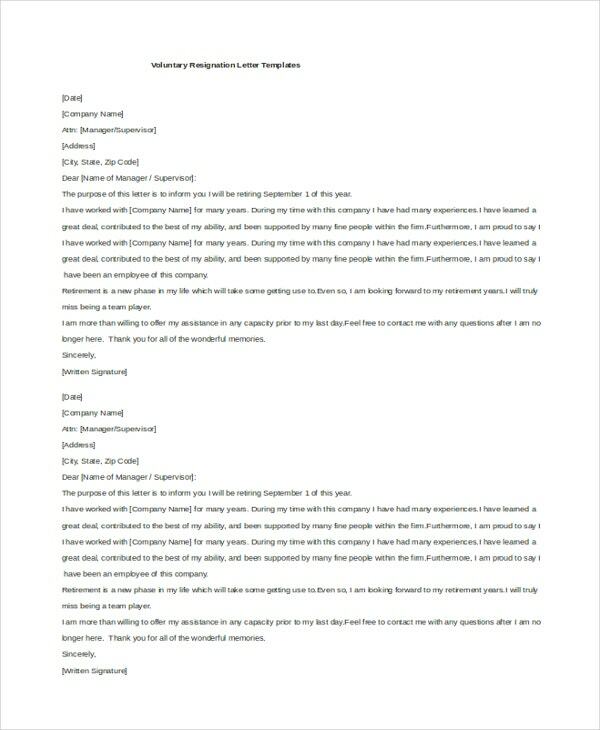 Our funny resignation letter templates titillate your funny bone and intimate the management about your dream job of not working in your present company. But beware. You have to face the consequences and it is not encourageable at all. 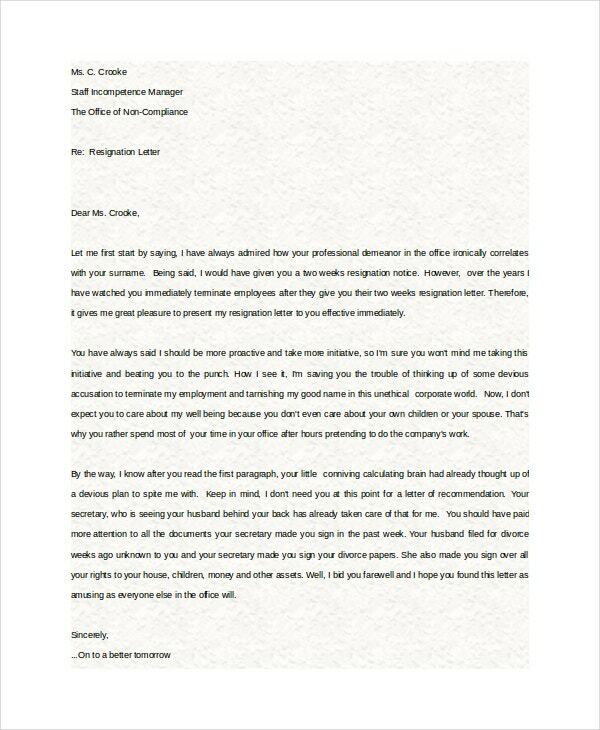 Our job resignation letter templates are must browsed items, especially when you put down the papers. Download the finest copy without getting registered. Another good news is that we are contributing few our best services for free. We provide the templates that are so customizable that all you need to do is filling the space with your details. Email is so powerful tool and when it comes to official space, it is the platform for professional communication. 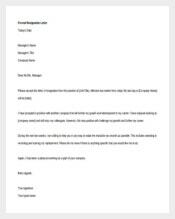 Our email resignation letter templates are equally professional and purpose-oriented with all mailing etiquittes. Download them now. At the most, it costs you some Mbs data to download. You can open our templates with any application that supports Word documents. Many companies demand two weeks notice period as a standard practice. 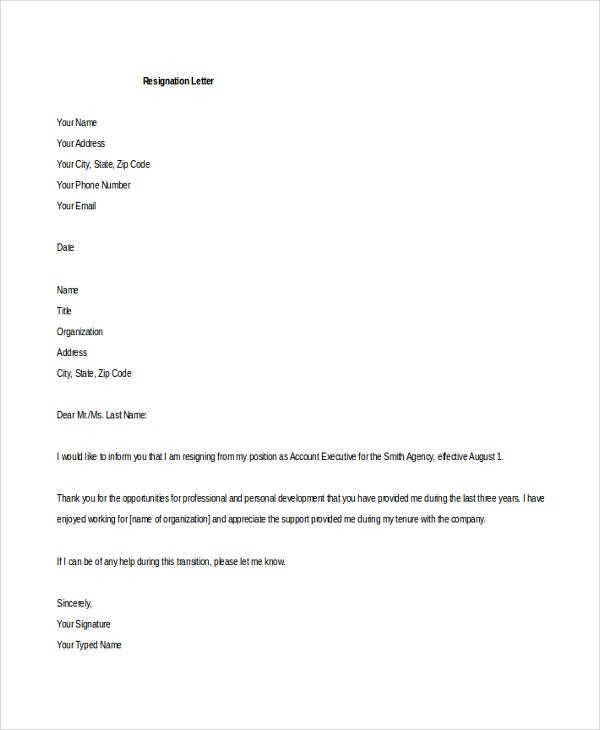 If your company falls under the same category, then our two weeks notice resignation letter templates are exclusively for you and yourself only. resembles standard resignation letter templates in all ways while being compelled. You can serve them without much editing. Voluntary Resignations generally occurs in Government sector. People who wrestled with their jobs over the years serve their resignation much before their service comes to an end without any external susceptibilities. 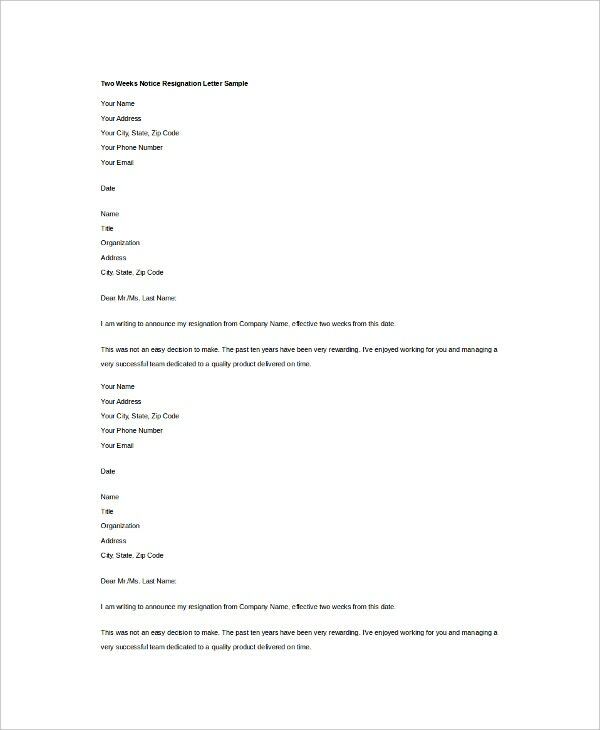 Our voluntary resignation letter templates imbibe all the required elements while being appalling and appeasing. They don’t have the word limit. 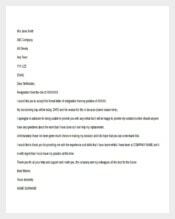 >How to Create a Resignation Letter Template? Your resignation letter decides your relieving letter. Yes. The way you design your resignation letter later impacts your relieving in the same manner. So it is not just another mail you are sending. Keep in mind that it will have its after effects as well.To create a resignation letter, one should be much aware of his tenure. Always start on a positive note. Greet all in the beginning phrases and paragraphs. Tell your boss how much the company means to you and how it helped you excel in your career. This gives a good impression on you. Understanding your boss will have an added advantage here. Don’t just jump into the objective in a rush. Also, make sure that there aren’t any intruders for the flow. Give them the assurance that the association between you and your company will continue anyhow. Be specific in your views. Vagueness is a big no. Don’t try to pamper your employer. They are noone to get into your trap. To start with, don’t forget to thank your employer. This is the most important thing you should remember. Also, make a positive mentioning of your colleagues and peers. This will add your value only. Seperating from colleagues and peers is extremely a felling of mixed emotions. Immediate resignation Letter is not legal in many nations. Just check with your company as well regarding this. Make sure that your language is polished and the format is eye-catchy. 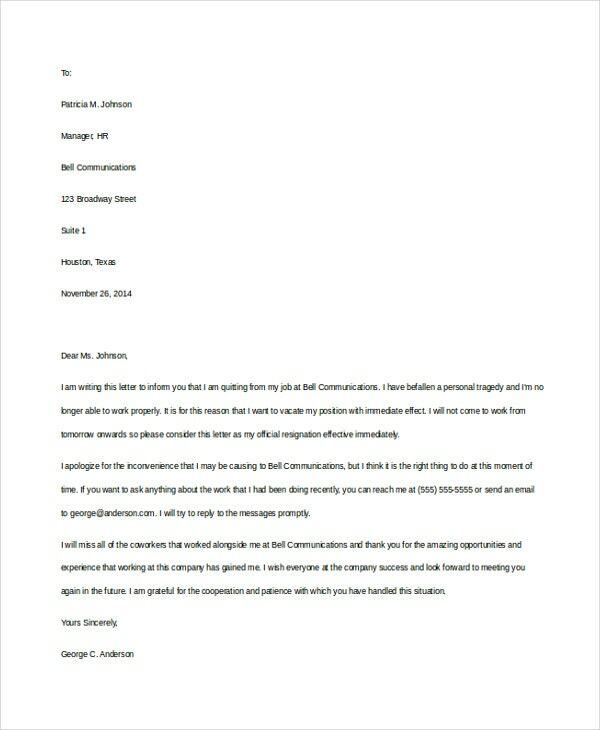 Resignation letter is the formal way of bidding good-bye to a company. People resign for their jobs due to many reasons such as career growth, health issues, relocating to somewhere (especially for female employees) etc. Be the reason whatsoever, a formal resignation letter doesn’t stop you from pursuing your dreams and other future endeavours.